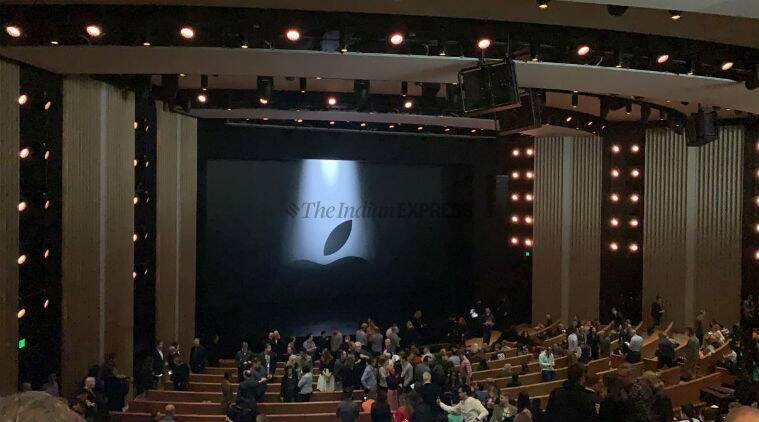 Apple March Event 2019 Highlights: Apple has announced four new subscription services at its event today. 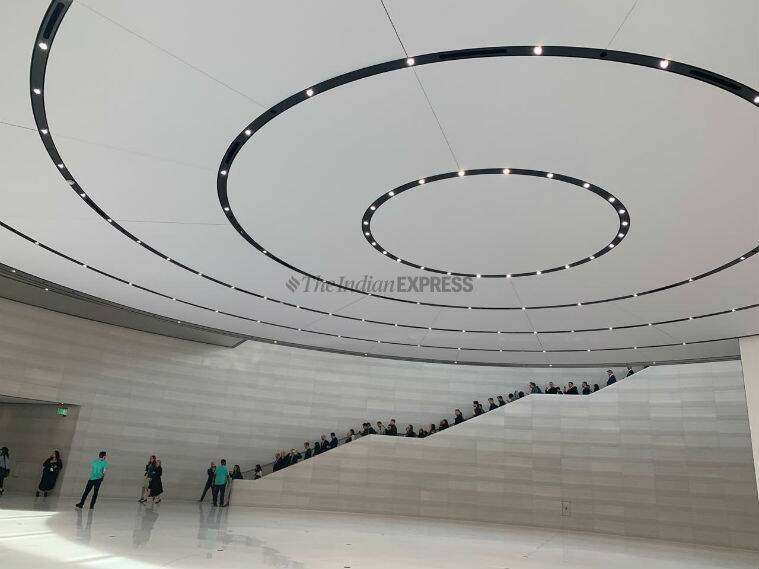 Apple March Event 2019 Highlights: Apple has announced its news and magazine subscription service Apple News+ as well video streaming service Apple TV+ with original shows, Apple Card and Apple Arcade gaming service. 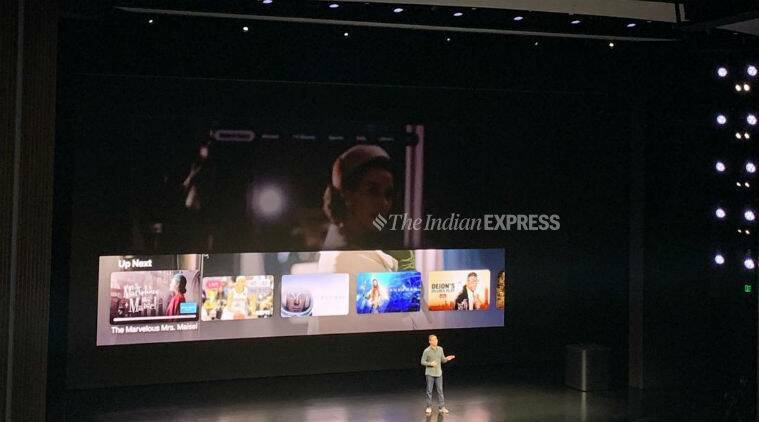 Apple News+ subscription will cost $9.99 (approximately Rs 688). It is already available in the US and Canada, with release in UK and Australia scheduled for fall 2019. It will have subscription-based content from publishers including the WSJ, LA Times, TheCut, TechCrunch and more. 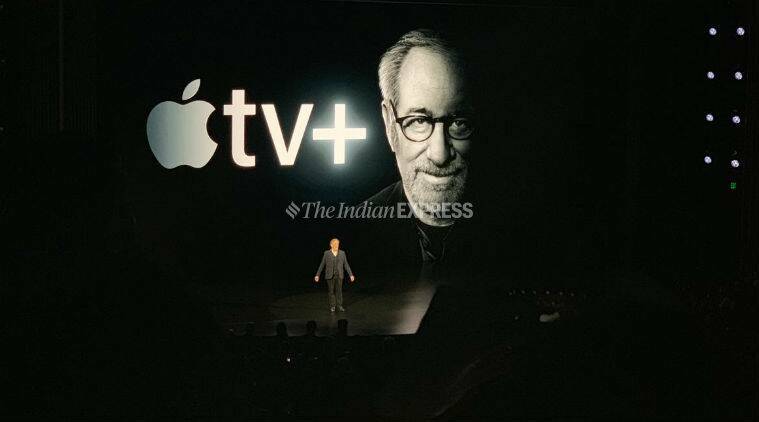 Apple TV+ service, which releases later this year, will include premium shows from renowned creators like Steven Speilberg, JJ Abrams, Jason Mamoa, Oprah Winfrey and more. Prices for the service will be announced later. Meanwhile, Apple Arcade is a paid gaming subscription service, that gives users access to over 100 games exclusive to Apple. The service will be available to consumers this fall in over 150 countries and will work on both mobile and desktop platforms. Apple Card is the company’s own card that it will offer all of its Apple Pay customers. Benefits include no global transaction fees, real-time daily cashbacks and more. Apple TV announced. Steven Speilberg on stage. Apple TV will be ad-free, available in more than 100 countries starting this fall. The Morning show will be hosted by Jennifer Aninston and Reese Witherspoon. Steve Carell is on stage as well. Apple TV app is coming to Mac this fall. The app will also available on Samsung, Sony, LG, and Vizio smart TVs. It will also come to Roku and Amazon FireTV as well. Apple TV app is coming to more than 100 countries. New Apple TV app is being announced. Users will be able to access network tv, hulu, playstation vue, etc all from the Apple TV app. Apple TV channels will let users watch only the channels they want, ad free. This will be inside the Apple TV app. HBO, Hulu there, Eros Now, and more channels will be there in the Apple TV app. The app has also been redesigned. Apple Arcade paid games subscription service announced. It will work on mobile, desktop as well. Apple Arcade will be available starting this fall in over 150 countries. Apple Arcade subscription will give users access to 100 games. These games will be exclusive. Apple Arcade will get its own dedicated tab on the App Store. Users will be able to download any game with their paid subscriptions. Apple Arcade will work on iPhone, iPad, Mac and Apple TV. Most importantly you can play the game even if you are offline. 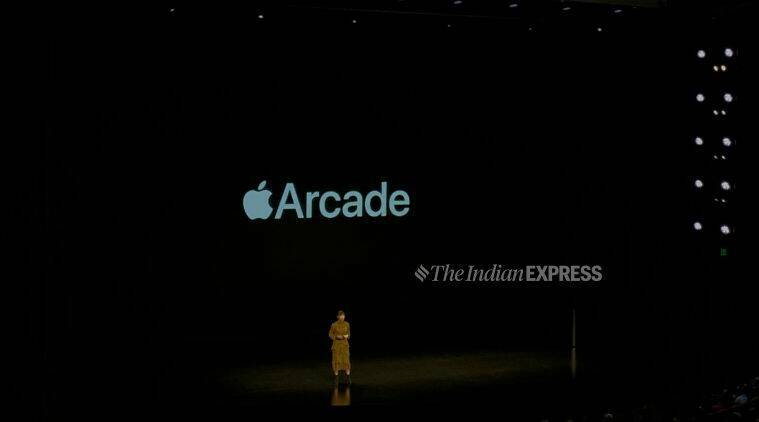 Apple Arcade will give users access to all the features of the game. No in-app purchases, no ads, says Apple. For places where Apple Pay is not accepted, there will be a titanium card. It will have no card number, no expiration, no CVV. Just your name etched on it. Apple offering 1 per cent daily cash when you use the actual physical card. Apple Card will come to the wallet app in the US, this summer. Apple Card also calculates interest in real-time. Apple Card has no other fees added like one finds on most credit cards. Apply says it won't charge a penalty if someone misses their payments. Apple has partnered with Goldman Sachs for credit card. The Mastercard global payment network will be used on the Apple Card. Apple is stressing that its bank partner Goldman Sachs will not sell any data associated with the card to any third-party or marketing company. The Apple Card number is stored in the secure enclave. Apple says every purchase has to be authenticated with Touch or Face ID. Once again, Apple stresses on privacy saying they will not track what you bought, where you bought something and what was paid. Every time a user spends with Apple Card, they will get cashback. Apple is calling this Daily Cash. This is actual cash, which is added to the user's credit card account for Apple Card. For purchases made from Apple Store, etc, users will get 3 per cent daily cash. There's no limit on the amount of Daily Cash that a user can get. Of course in India, the concept of cashback might seem like nothing new, though most times this is not actual cash which is added to the user account. 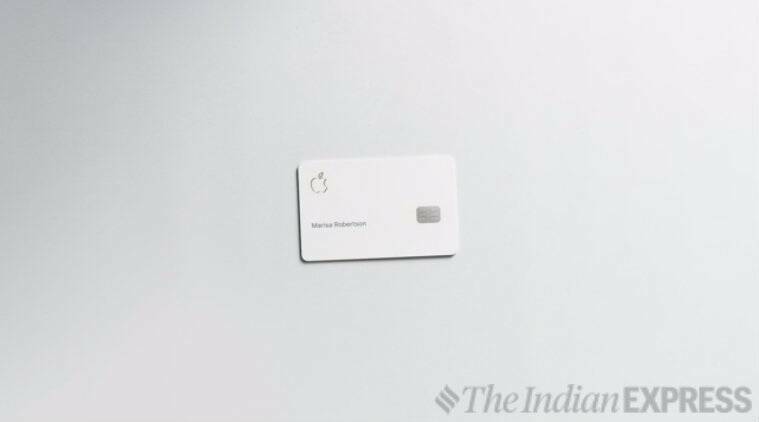 Apple Card, Apple's own credit card annnouncd. Jennifer Bailey, Apple Pay VP is on stage to showcase the features of the new Apple Card. 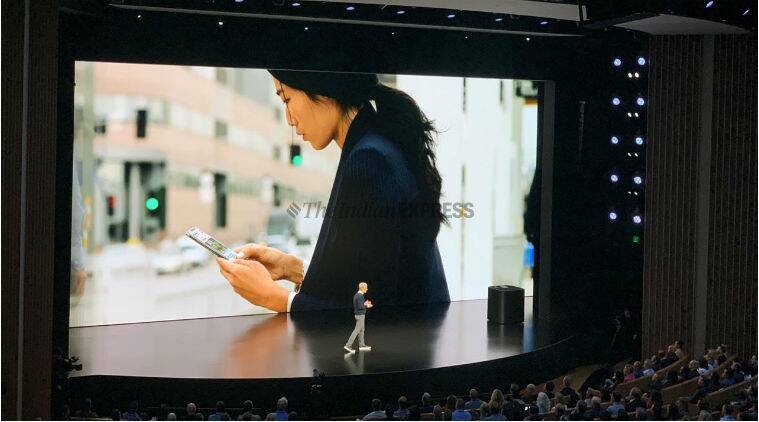 Users will be able to sign up for the Apple Card on the iPhone and they will get it within minutes and just start using it. 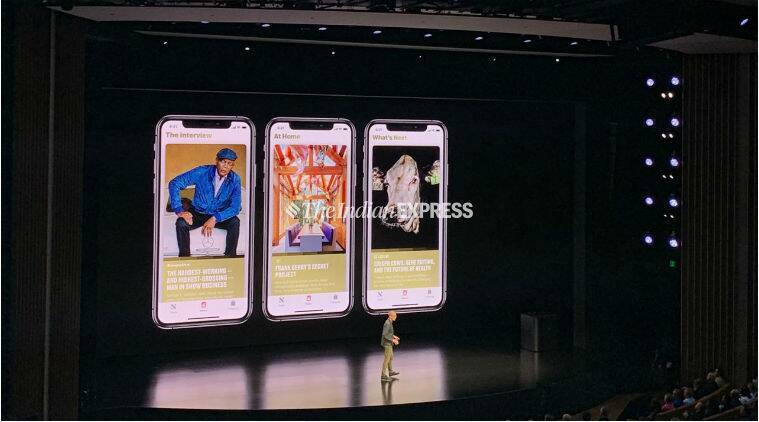 The Apple Card will be available across Apple devices inside the Wallet App. Users will be able to see what they've spend, payment due, etc on the Wallet app itself for this credit card. Apple Card will show details of the business where you've made a purchase. It will show weekly, monthly summaries as well. The idea is to help users manage their finances a little better. Tim Cook says Apple Pay will cross 10 billion transactions by 2019. Apple Pay is expected in more than 40 countries by the end of the year. Apple News subscription will cost $9.99 per month as well as family sharing at no extra charge. It is a subscription based service inside Apple News app. Apple News service is available from today after one installs the new MacOS and iOS update. The service is coming to Canada and the US. In UK and Australia, it will be released in fall 2019. No word on whether this service will come to other markets in the world, like India. Apple News will have subscription-based content from WSJ, LA Times, TheCut, TechCrunch as well. Apple says they don't know what the user is reading. No, they don't allow advertisers to track you other. Once again, Apple highlighting that they believe in user privacy. 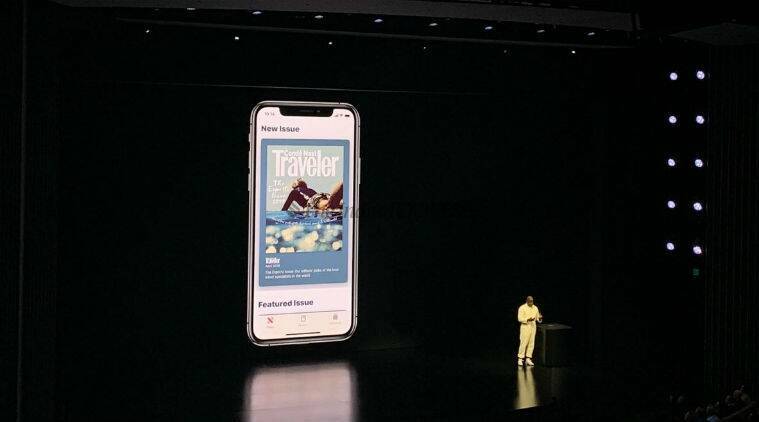 We're getting a demo of the Apple News service and what magazines will look like. Live covers will be a part of the Magazine section. Think of this as a news stand, but a digital one with all your magazine covers shown in a digital format. One can just swipe right for more articles or look at the table of contents. Users will have the option of downloading magazine issues. This should be useful especially when you are travelling or during the daily commute. The focus with magazines is design and how the content is displayed. Apple News keeps this focus alive, given how the content is shown with typography remaining intact, photos. The content adjusts based on whether you are viewing on the iPhone or the larger iPad. Apple News+: Roger Bosner, VP of applications on stage. Focus with Apple News+ is on magazines. 300 magazines are being added, covering a range of topics. Essentially all your magazine subscriptions will be in one place with the Apple News+. Apple News has over 5 billion articles read every month. Apple says it is the number one news app. All content on Apple News is handpicked by its team of editors. Apple is bringing magazines to Apple News in a new service called Apple News+. Apple event explained: Why is Apple going service side? Apple now makes as much revenue from services as it does from hardware. With hardware refresh cycles becoming longer, especially as Apple users prefer to hold on to their devices longer, it has become necessary to add more stable revenue streams. Apple has been successful with its services like iTunes and iCloud for which its users are more than happy to pay. 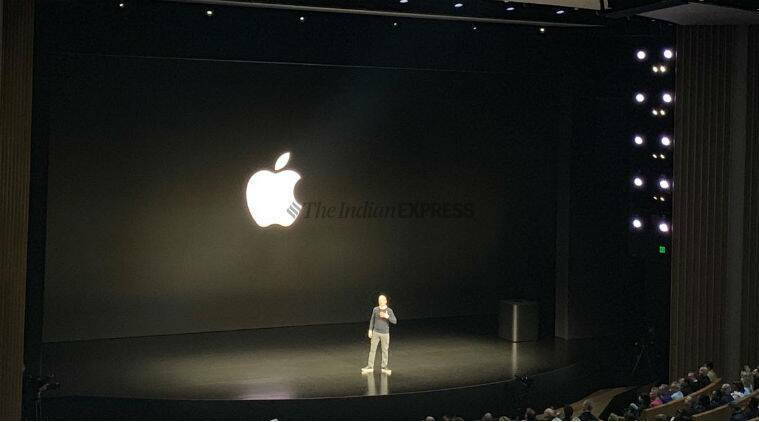 It hopes more services, curated by experts and personalised with the simplicity of Apple, will help it shrug off the dependency on iPhones and Macs. Tim Cook highlighting all of Apple's services. From Apple Maps to Apple Music to iTunes and Apple News. Our services have to be easy to use, uncompromising attention to detail, designed to keep your personal information private and secure, he says. They are curated by expert editors, they are personalised and designed to be shared easily. Apple CEO TIm Cook on stage: We have been creating a growing collection of world class services. That's what today is all about. At Apple our services are about helping the customers get the most out of the products. The iPhone you carry with you, allows you capture the very best moments of your life. Our iCloud service helps you share those photos with your loved ones. This is just one example of the benefits that come out of seamless integration of hardware, software and services, and Apple does this better than anyone. 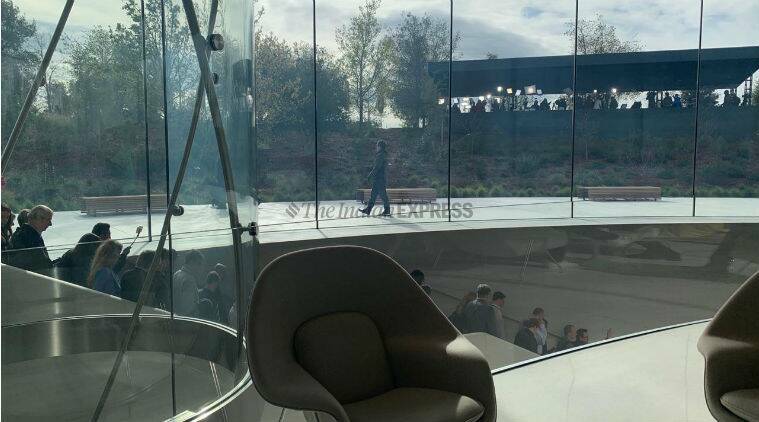 Apple event starts with a video. The video is similar to on opening credits for a film. Except this one is all about Apple products like the Mac, the iPhone, with writing credits for the Apple Pencil and Siri as the production assistant. 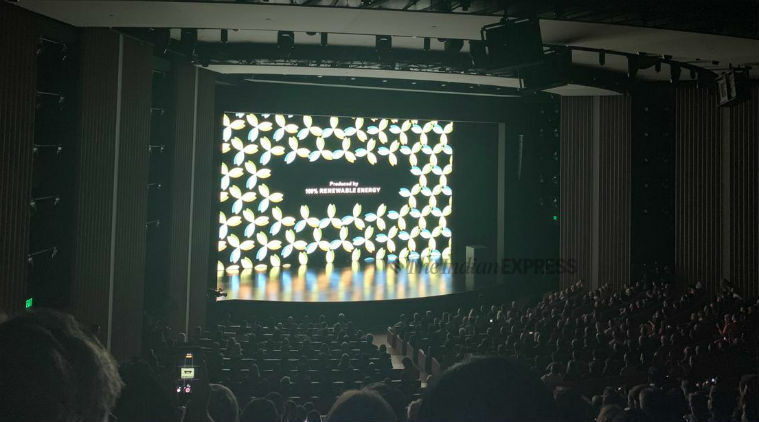 It’s a packed Steve Jobs Theater as Apple gets ready to announce a video streaming, news service and a gaming subscription. This is unlike other Apple events where hardware is the focus. There’s a lot of anticipation around Apple’s video streaming service, which has reportedly been in the works for sometime now. 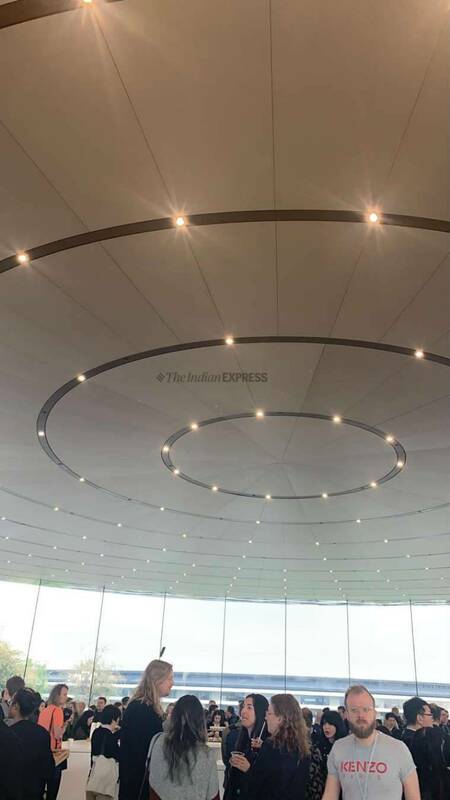 We are waiting to be seated inside the Steve Jobs Theatre at Apple Park, Cupertino. The big announcements expected are a new video streaming service, a gaming subscription service and a revamped Apple News app with paid subscription. This event will focus on services, and no major hardware announcements are expected. For Apple services are seen as the next big source of revenue, given that hardware sales are expected to slow down. A Bloomberg report, Apple will likely introduce a subscription-based news and magazines service. The service is said to give Apple news users unlimited access to content from paywalled sites like The Wall Street Journal. The subscription fee could be $9.99 per month. Prominent publishers like the New York Times and Washington Post have reportedly not signed up for the deal due to terms that ask for as much as half of subscription revenues. Apple's new streaming service will compete with Netflix, Hulu and Amazon Prime with original shows as well. The service could be an upgraded version of its TV app. Third-party subscriptions like Starz, Showtime, CBS, Viacom, HBO and more could be integrated directly into the app. 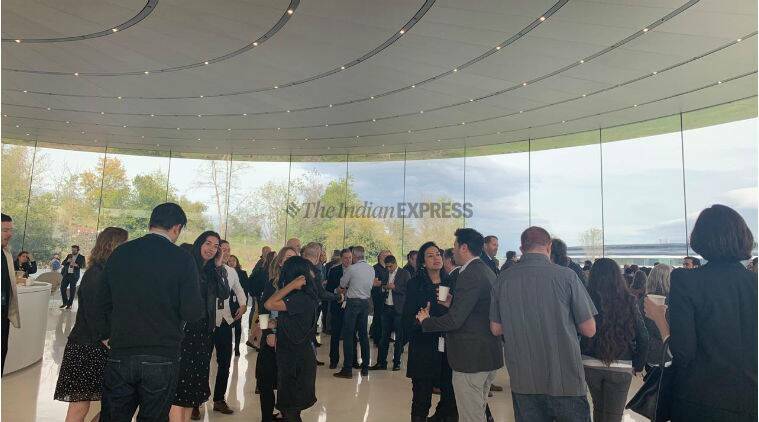 Celebrities like Jennifer Aniston, Steve Carell, Jennifer Garner, who are said to star in Apple's show, have been invited to the event as well. Apple is expected to launch its own video streamign service, which will have original shows as well. In addition, a new gaming subscription is also speculated. 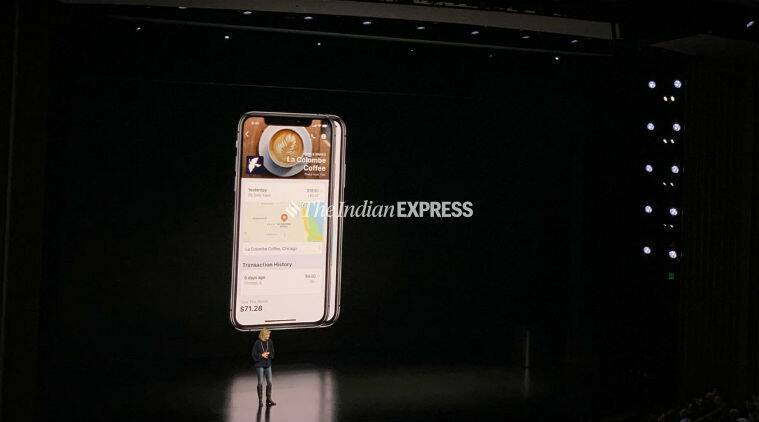 Reports also suggest a subscription-based news and magazines service along with a new Apple Pay features like co-branded credit card with Goldman Sachs. Apple's March 25 event will be held at the Steve Jobs Theatre in Cupertino, California starting at 10 AM PT (Pacific Time). In India, it translates to 10: 30 PM on March 25. 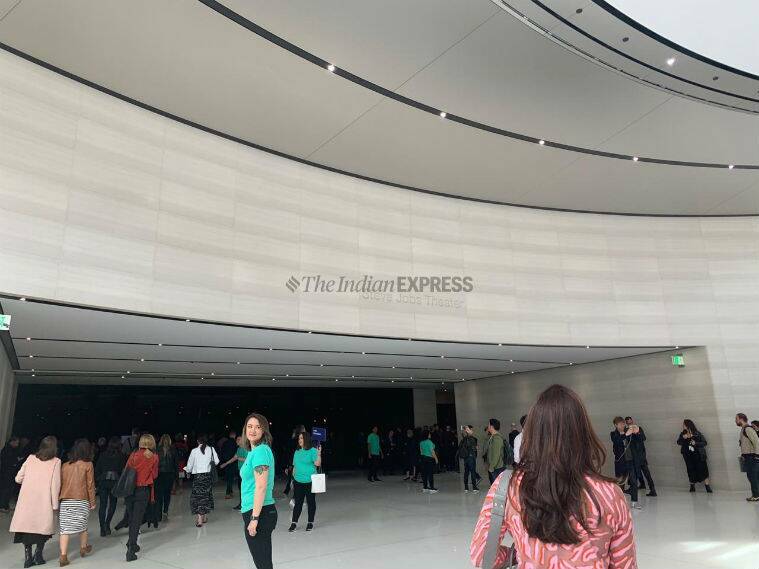 Apple will also livestream the event on its website, which can be watched on Apple devices as well as Edge browser on Windows. 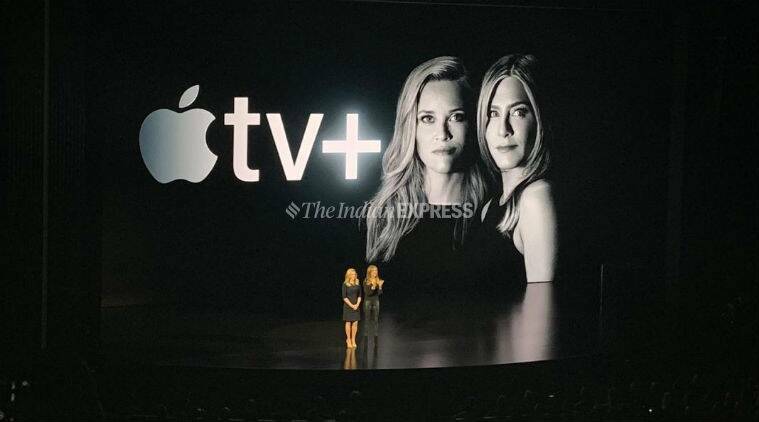 Apple Event 2019 Highlights: Apple is working with celebrities like Jennifer Aniston, Steve Carell, Jennifer Garner for its TV shows for the Apple TV+ service. Apple has launched four new services - Apple News+, Apple Card, Apple TV+ and Apple Arcade. The Apple News+ subscription will cost $9.99 per month, while Apple Card will be a free service for its Apple Pay customers. The subscriptions for Apple TV+ video streaming service and Arcade gaming service will be announced later. Both the services will be released later this year.